Our spring cleanup service is unmatched. We will meticulously remove all of the debris left behind from old man winter, including sand on your lawn near the street from previous winter storms. Every leaf is removed from under your shrubs, decks, behind your trash receptacles, leaving your property ready for spring. 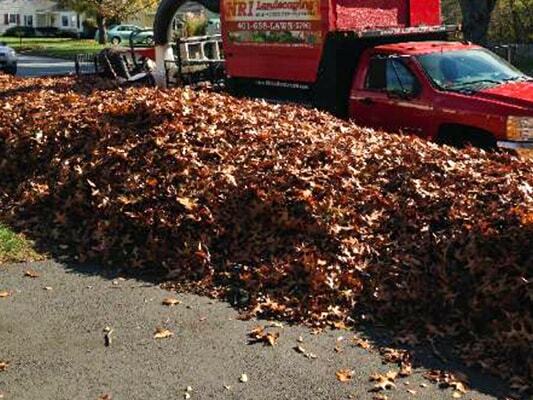 Once your Spring cleanup is complete we will then edge and mulch all of your beds. A de-thatch is highly recommended with this detailed service for optimal results. Our service professionals will remove any trash, sticks, and debris before carefully trimming and edging your lawn areas to perfection. We use caution not to damage painted surfaces, siding, or bark on trees. We are always aware of our surroundings and are cautious not to propel small rocks into the air. Your lawn will be cut to perfection every time year in and year out, freeing up time for family, recreation, or leisure. A process commonly used to deepen your lawns root system, making it more drought resistant, and easier to obtain key nutrients. This service is often performed in conjunction with our de-thatching and even better with overseeding applications. 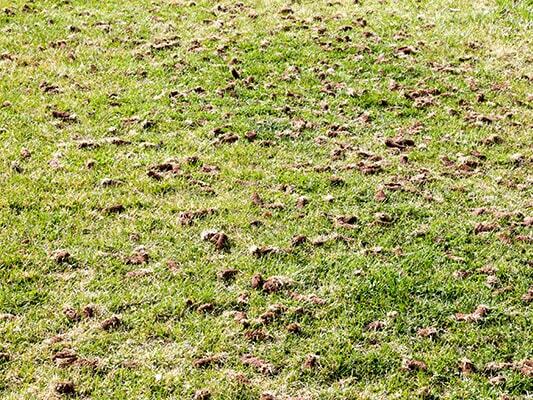 This service is best performed in the early spring or late fall, by removing the harmful compact layer of lawn debris called thatch and opens up your lawns root system to allow vital nutrients into the ground, making your lawn grow thicker and healthier. We recommend this service once annually for optimal results, but bi-annually at a minimum. Just like the human body, your lawn requires certain nutrients to stay healthy! 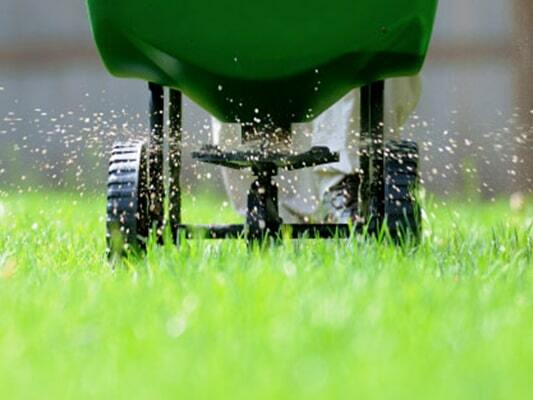 Feeding your lawn and giving it the proper treatments will keep your turf looking its best. Talk to us today about what your lawn needs to fight disease, drought, and harmful insects all year long! 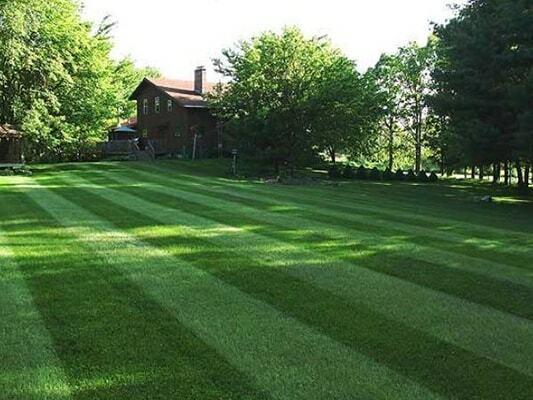 Over time, your lawn can begin to look less lush and vibrant. 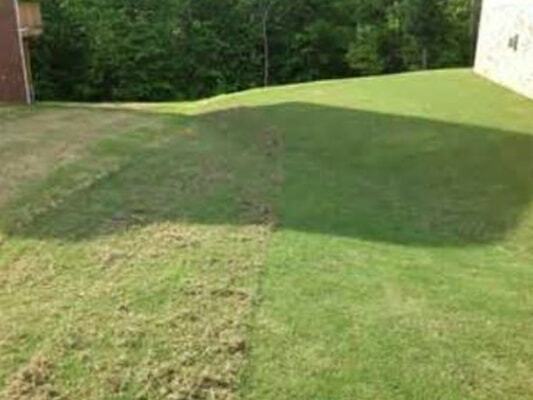 This is where an overseeding treatment comes into play. 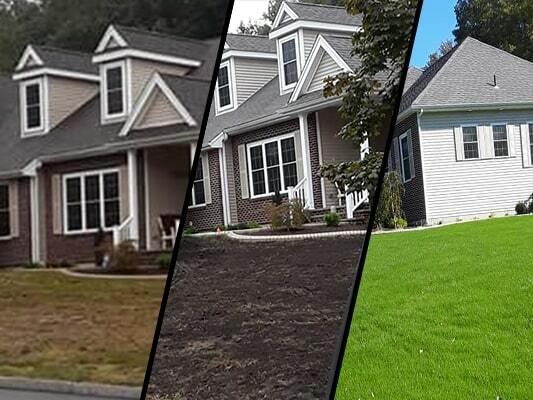 By spreading a generous amount of fresh seed directly over the existing lawn or premium screened loam, we can improve the density of the lawn and restore it to a vivid green color. Overseeding in the Northeast is best done around mid September, after a good dethatching and aeration when weeds die off from the cooler weather. Choosing the proper seed is essential with attention to shelf life to the seed. 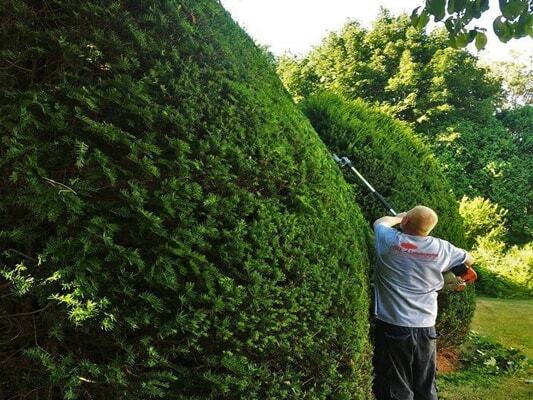 From small yew shrubs, to 25 ft hemlock, our staff possess the skills to bring out the best in your hedges, Knowing what to trim when makes a huge difference in the overall appearance of your landscape. Many property owners have come to us to reshape and improve the health of their shrubs, and within a few years, they achieve that perfect shape and healthy vigor that we all pursue in our shrubbery. Performed with attention to detail, and with the best available equipment in the industry. Either performed periodically throughout the fall or once annually for smaller properties. 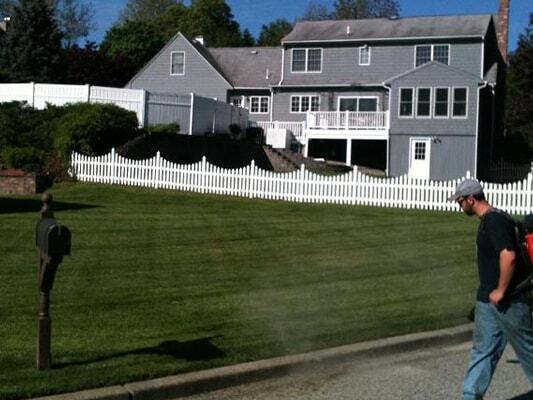 No one performs a better cleanup than NRI Landscaping. 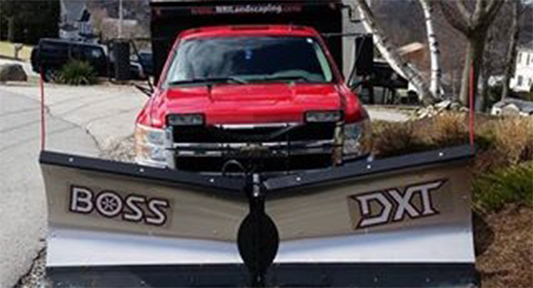 We offer reliable snow removal for both residential landscaping clients as well as commercial properties, including sanding and salting.